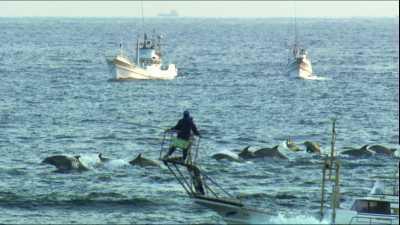 This entry was posted in Dolphins and tagged dolphin slaughter 2011, Japanese whaling, naoto kan, Porpoise slaughter, taiji, travel to japan by Kirsten Massebeau. Bookmark the permalink. The Japanese Prime Minister Naoto Kan surely can see that the world is crying out for the dishonorable fisherman of Taiji to stop slaughtering dolphins. I really prefer the word murder, and prison for what they do with Dolphins. In many ways are we better? What about Sea World? Cetaceans are sonic beings. When you put them into a cement tank you are sentencing them to a life of silence. 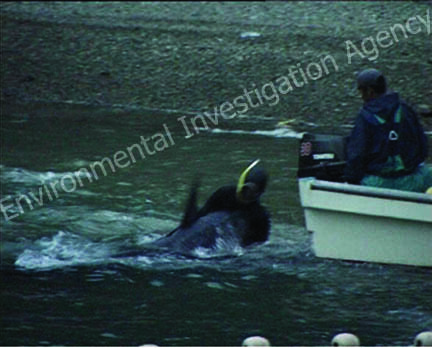 Please follow the link in the post and tell Naoto Kan end the murdering of innocent dolphins in Taiji Japan.